Nowadays, the association between engineering and biomedicine has increased, providing innumerable biomaterials for uncountable applications. And, why not consider these materials as a step to the age of bicentenary men? The production of materials in small scale for biomedical applications has emerged with a range of features and benefits. Electrospinning is a versatile technique that consists in the fabrication of fibers, mainly in nano and ultrathin scale, that has the potential for distinct purposes. Bioresorbable electrospun fibers have many functional features that can preserve drug efficacy, avoiding premature degradation, and control drug release rates over long periods. Bringing the bicentenary man to our real world, what would be the point of living longer if our brain may be impaired by aging and, consequently, neurodegenerative diseases? Why would we live more than 100 years old if 1 in every 10 people over 65 years old and 30% of people over 85 years old develop Alzheimer’s disease and sadly will delete from their brains the most important and remarkable moments of their lives? So, what about living longer, but providing health and energy fuel to the brain and improving its functionality? Wouldn’t it be great to improve memory formation and reduce neuroinflammation in a simple method, with a biomaterial in nano or ultrathin scale? Let’s discuss a little bit about Alzheimer’s disease. The brain is an enigmatic organ which mechanisms are mysterious and, consequently, pathologies that affect it are not completely understood. 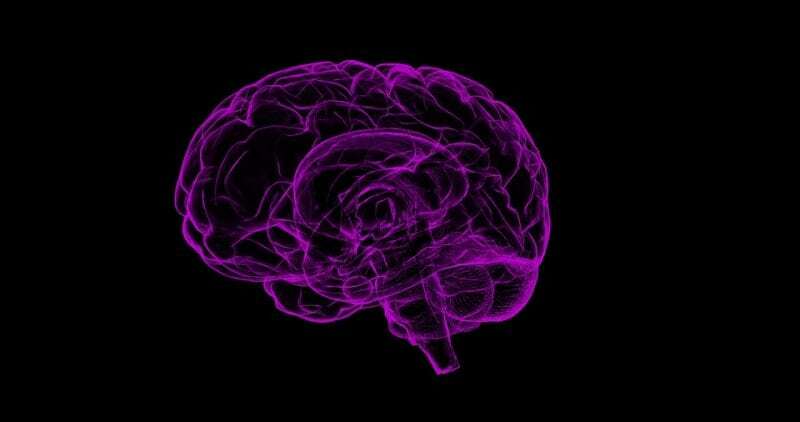 Although elucidating Alzheimer’s disease and other neurodegenerative diseases consist a huge challenge, it is known that Alzheimer’s disease has been linked to desensitization and impaired insulin signaling in the brain. Glucagon-like peptide 1 (GLP-1) analogs possess exceptional neuroprotective properties. Consequently, the stimulation of the GLP-1 receptor may be a promising technique to improve impaired brain function in patients with Alzheimer’s disease. For this, electrospun fibers containing GLP-1 analogues may enhance the therapeutic effects of this drug for Alzheimer’s disease, especially because the drug may be maintained at constant circulation, over a long period, improving drug performance in the brain by continually reaching and crossing the blood-brain barrier, a selective barrier that defends our brains like soldiers, defining what will cross, enter and leave the brain. Facing these features, we designed a bioresorbable biodevice for the sustained release of liraglutide, a GLP-1 analog, aiming at a potential therapy for Alzheimer’s disease. Poly (lactic acid) (PLA), a biodegradable and bioresorbable polymer, was diluted and liraglutide was incorporated into the solution. The final product was electrospun, forming fibers containing the drug in ultrathin scale, coated with gelatin, in order to provide sustained release of liraglutide, for neuroprotective purposes. PLA was particularly chosen because it has important features in the brain, its degradation product has neurogenesis characteristics. Our in vitro assays indicated that the drug can be released over 60 days and, once in contact with a neural cell line, it has a range of benefits, including increasing the viability and reducing mitochondrial stress of these cells, when they are under stressed conditions. The material also has great interaction with fibroblasts, indicating that the material may have no rejection once implanted. Electrospinning brings materials closer to clinical applications; and with our results, it is expected that the developed biodevice may provide a new concept of great therapeutic potential for Alzheimer’s disease. Clearly, gelatin capsules conferred important properties to our drug delivery system, increasing hydrophilicity, facilitating cell adhesion. Moreover, the capsule maintained liraglutide integrity and controlled the burst release of the drug to provide a neuroprotective effect. In this manner, our group is working hard on developing biomaterials focused on Alzheimer’s disease and the brain. Our goal is to connect nano and bioengineering with the brain, introducing novel materials which can improve neuroprotective properties for Alzheimer’s disease and other neurodegenerative pathologies, via the sustained long-lasting release of drugs and by providing support to improve neuronal functions by distinct pathways. The strategically developed biodevice provides a guideline for the development of an implantable material that may represent an important impact for Alzheimer’s disease therapy. These findings are described in the article entitled A Novel Bioresorbable Device as a Controlled Release System for Protecting Cells from Oxidative Stress from Alzheimer’s Disease, published in the journal Molecular Neurobiology. This work was led by Anderson Lobo from Massachusetts Institute of Technology. The Lobo group, along with Ph.D. student Geisa Salles is working hard on developing biomaterials focused on Alzheimer’s disease and the brain. Anderson de Oliveira Lobo received his BSc in Biomedical Engineering from University of Vale do Paraiba and his MSc and PhD in Science from Technological Institute of Aeronautics from Brazil. He is full professor at the Department of Biomedical Engineering at Brasil University. He is the head of Laboratory of Biomedical Nanotechnology allocated at Brasil University. Professor Lobo’s has been supervising more than 20 students at postgraduate and undergraduate levels in different projects. He also has a collaborative network with international researcher centers, such as: visiting professor at Brown University (Physics Department), Harvard Medical School (Biomaterials Innovation Research Center), Massachusetts Institute of Technology (Department of Chemistry) and Institut Polytechnique de Grenoble (Department of Materials Science, France). Professor Lobo’s has a H index = 19, more than 70 papers and 1300 citations.